I love baseball. I am thoroughly convinced it’s the greatest game ever invented by humans. I’m also convinced that if anyone on Earth gave it a fair shake—followed a team, learned the history and strategy, ate enough sunflower seeds—they’d love it too. But one thing I find is that baseball’s universal appeal has always been expressed by its fans in deeply personal terms. Its allure has always been local and unique. And it’s been that way since it was invented. Baseball was already the US national pastime well before the invention of the television, airplane, car or radio. The Chicago Cubs were playing ball before the light bulb was developed. The Cincinnati Reds are older than the modern bicycle. The Baltimore Orioles predate the toilet paper roll. These were very different times indeed. These different times called for a different way of thinking about baseball. With no motor vehicles and very limited passenger train service, most baseball games were played only between local clubs. Every town in America had small, home-grown baseball teams. Games were immersive, fast-paced, and decidedly non-commercial. Teams had funny, hyper-localized and often self-deprecating names. Everyone who loved baseball—and back then everyone loved baseball—had a personal, unique connection with their “local boys”, and with numerous women’s teams, “local girls”. These were truly baseball’s greatest years. Today’s MLB is a different universe, of course. Teams of millionaires (who don’t much care which city they represent) fly on chartered jets across the country for a three-game series. Local semi-pro teams are basically a thing of the past. But there is one vestige of this unique slice of our nation’s history left, and you can find it hanging on in about 200 cities scattered across the country: it’s Minor League baseball. I love going to Minor League games. Here in New York City, we have two Minor League teams: The Brooklyn Cyclones, a Mets affiliate team named after the Coney Island roller coaster just beyond the outfield wall at its home field; and the Staten Island Yankees, a Yankees affiliate (obviously) named after (you guessed it) the Yankees, playing at one of New York’s hidden gems—a 7,100-seat ballpark on Staten Island, overlooking New York Harbor and its sweeping views of downtown Manhattan. Catching a game at either of these parks is truly remarkable. You walk up to the ticket booth at game time, pay about $15 for a ticket, then just stroll to your field-level seat and enjoy a great game of ball. There are drawbacks, of course: All the teams use designated hitters, the Cyclones play on artificial turf and, yeah, the SI Yankees have just about the dumbest name and logo in Minor League history. So you can imagine I was happy to learn that the Staten Island Yankees were going to rename themselves this year. And the leading name to replace it? The Staten Island Pizza Rats. Earlier this year I went on a road trip to Montreal with my girlfriend, stopping often along the way to breathe this stuff called “fresh, not-disgusting air” that apparently floats around all over the place in rural New England towns. We decided to stay in Burlington, Vermont; hometown to Ben & Jerry’s ice cream, about 40,000 extremely friendly people, and one Bernie Sanders. Nestled on Lake Champlain, it is at least twice as pleasant and adorable as you can imagine. 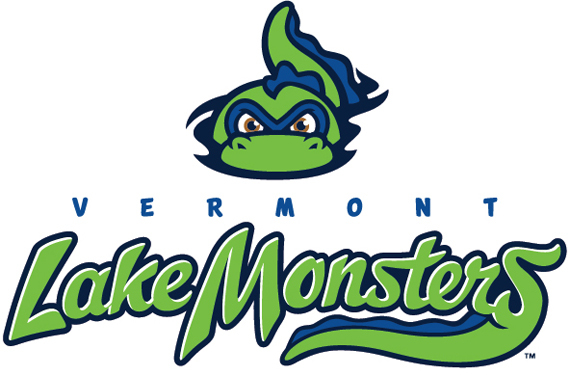 And, I had learned earlier, it’s also home to a Minor League baseball team called nothing other than the Vermont Lake Monsters. Vermont Lake Monsters. What a name. What a logo. What a team! I had to go watch a game. And what I saw was unforgettable. Everyone in the stands had a Lake Monsters logo on them somewhere; hats, hoodies, shirts, you name it. The team is named after their mythical lake monster, nicknamed “Champ”, said to live in Lake Champlain. And although the Lake Monsters are an Oakland Athletics affiliate, you’d be forgiven for not realizing it. Burlington loves their Monsters like they’re the “local boys” of yesteryear. And who could blame them? With local flavor and a unique atmosphere, the fun I had at Centennial Field (capacity 4,400) truly colored my whole perception of Burlington. Before the game even started I made a beeline to the gift shop and bought everything I could remotely justify owning. With a name and logo like that, who wouldn’t?? In some ways, the game itself was just the icing on the cake. I’m officially a Lake Monsters, and by extension a Burlington, fan. Why am I going on about the Lake Monsters? Because when baseball was a local affair, team names all rang with the same charm as “Lake Monsters” does today. Quirky baseball team names are legendary. The Chicago Orphans and Boston Bean-Eaters were wildly popular hometown teams founded just after the Civil War, their off-beat nicknames endearing them to their hometown fans. 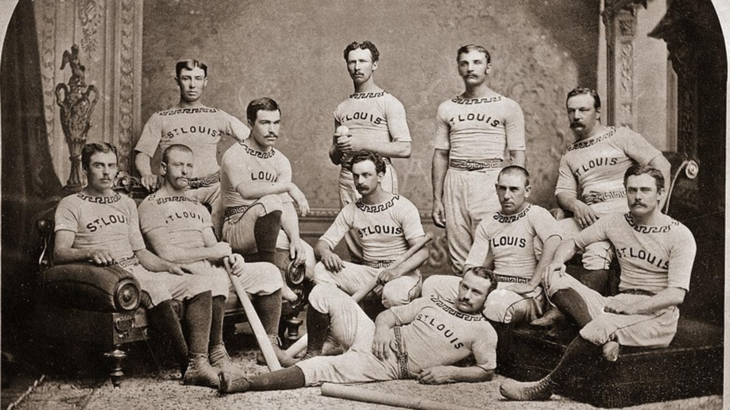 And while the City Point Awkwards were playing down in Florida, the pride of Rock Island, Illinois traveled to a state baseball tournament calling themselves the Lively Turtles in 1867, with the hopes of an entire town riding on their shells. New York too had its share of great names: Brooklyn had the Wild Waves and the Bridegrooms and the Trolley-Dodgers; the former no longer exists, and as you might have guessed, the latter shortened their name a bit and currently have a team payroll of about $270,000,000. The spirit of these names lives on in some Minor League clubs today. The Toledo Mud Hens are a part of American pop culture history, popularized after a character on the TV show MASH continually wore their logo. The Albuquerque Isotopes, named after the fictional team from the Simpsons, top the national charts in cap sales every year, along with their division rivals the El Paso Chihuahuas. It’s impossible not to love the two teams voted “best logos” by New Era in 2017: The Vermont Lake Monsters and the New Orleans Baby Cakes. These names don’t just harken back to baseball’s golden years, they make baseball fun. And, of course, sell lots of merchandise. So when the Staten Island Yankees announced a rebrand in 2016, I was pumped. “Yankees” has to be just about the worst name possible for a Minor League team in New York City. It’s boring, confusing and divisive. It’s literally already in use by another team a few miles away. A name change was long overdue. And then, something amazing happened. An online vote was held by a local publication and “Pizza Rats” won the contest, by a large margin. Yes, Pizza Rats, named after perhaps the greatest YouTube video of all time. It is without a doubt the most perfect name for a New York team since the Trolley-Dodgers. The logo, the mascot, the merchandise… It all practically designs, markets and sells itself! Baby Bombers, to reflect the team’s affiliation with the New York Yankees; or Big Wheelers, to reflect the Staten Island Wheel, which will soon rise above the stadium [sic] as an iconic landmark on our skyline. This floored me. I literally cannot think of two stupider names. The Staten Island Asdf;lkjhasdfs would be an improvement on those atrocities. Big Wheelers? 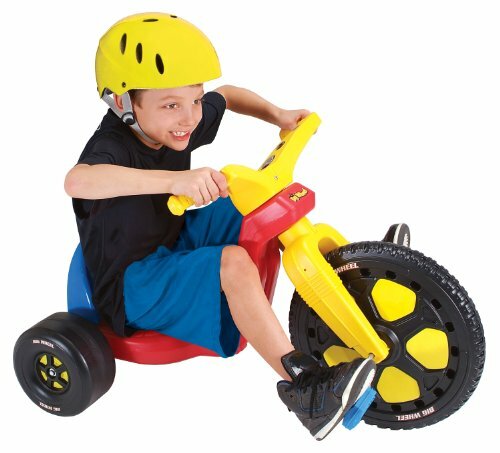 I’m sorry, are they selling plastic tricycles for toddlers? Do you understand how out of touch that sounds? (Probably not, since she called the ballpark a “stadium”.) And Baby Bombers?? Is this some kind of sick joke? Will the logo be an American fighter jet carpet-bombing an Iraqi orphanage? Jesus Christ. I don’t think any of my friends would ever wear anything that said “Baby-Bombers” on it, because they are not savage murderous psychopaths. However, I think every person I know would purchase something that said “Pizza Rats” on it, because of course they would. It’s amazing. It’s hyper-local, unique, and universally recognizable. The fact that an elected official would attempt to override the popular vote-winner to instead suggest the most outrageously tone-deaf replacements is, quite frankly, a bigger disgrace to Staten Island than naming your club after a rat that loves pizza. So, amid murky excuses about “not having enough time”, the SI Yankees shortly after announced that they would postpone the rebrand until 2018. No doubt they now find themselves trying to solve a tricky equation with lots of local political variables. I imagine they must be weighing the cost of succumbing to an awful-but-politically-safe name like the Child Bombers against choosing a phenomenal name like the Pizza Rats, but perhaps making a few enemies at City Hall in the process. From where I stand, the choice is clear. The Pizza Rats brand will be a cash machine. Everything from the jerseys to the endorsements to the pizza concessions will blow the lid off the club’s old revenue records. Additionally, going to a Minor League game is addictive, and once a larger audience is exposed to the Pizza Rats through the great new name, attendance will jump initially out of curiosity, and then stay elevated for years because of how much fun watching a game is. An enormous percentage of New Yorkers have no idea you can take a free ferry (with beer!) from Manhattan, past the Statue of Liberty, directly to a baseball game in Staten Island. Pizza Rats will change all that. Make the right choice, Staten Island. You know in your heart you are the Pizza Rats. You aren’t “better than that”, because pizza rats are already awesome. Do the right thing, Jane Rogers [jrogers@siyanks.com] and Will Smith [wsmith@siyanks.com], club executives. The Pizza Rats will be the toast of Staten Island, and within a few years, politicians will appreciate the economic boon resulting from your new name. Shut up, Councilwoman Debi Rose. Just, shut the hell up. Everyone else: Follow @siYanks on Twitter. And then, in your own special way, let them know this: The saga of the Staten Island Pizza Rats only has one happy ending. And it ends with you buying a Pizza Rats zip-up hoodie.